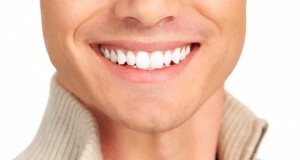 Do stained, cracked, or chipped teeth keep your smile from reaching its full potential? Exposure to certain foods, drinks, and tobacco can alter the appearance of your teeth, as can dental injuries and the natural process of aging. At D’Amico & Mauck, DDS in Aurora, CO, we believe that everyone deserves a beautiful, healthy smile they’re proud to share with the world. We can help you achieve just that with a variety of customized cosmetic dentistry services, including porcelain veneers. Porcelain veneers are thin, stain-resistant layers of durable porcelain that are affixed to the front surfaces of your existing teeth. They look and feel absolutely natural, giving you the beautiful, bright-white smile of your dreams in as little as two visits to our office. You’ll be showing off your flawless new pearly whites in no time! Schedule Your Veneers Consultation Today! How would you like the ability to smile freely and confidently anytime, all without the worry of exposing cracked, chipped, or heavily stained teeth? Drs. D’Amico and Mauck want to help you achieve that freedom with cosmetic dentistry services, including porcelain veneers. Contact our office in Aurora, CO today to schedule your consultation! We also happily serve patients from throughout Denver and the surrounding areas, including Centennial, Englewood, Boulder, Parker, and beyond.